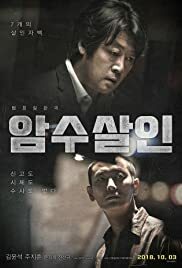 Excellent crime thriller about a detective seeking further punishment of a convicted murderer who despite confessing to further crimes, uses legal loopholes and the statute of limitations, coupled with half truths and misinformation to evade justice. Kim Yoon-seok's performance was outstanding as usual and rising star Ju Ji-hoon was also very impressive, balancing his performance well. Based on a true story, strongly recommend.